The escrow functionality of eMoney is massively useful, but there are many other exciting ways in which eMoney is being used. Put simply, eMoney is money recorded on a ‘stored-value card’ or in an electronic account. Instead of the money being linked to individual bank accounts, all funds are held in one single bank account, with an electronic ledger reflecting all eMoney accounts created. This means that transfers between eMoney accounts do not actually involve the movement of money, the ledger is simply adjusted. Not only this, but eMoney’s flexible nature means that accounts can be created quickly and easily. This ledger-based, digitally focussed approach is well suited to features such as escrow. Escrow functionality allows for money to be placed into an account, but only transferred to another account once a certain condition is met. One of the most popular uses for this is crowdfunding, as it allows contributors to donate to a cause with the guarantee that their money will only be taken if the target is reached. So where does eMoney come in? The speed and flexibility of eMoney account creation works really well for escrow accounts as they need to be set up quickly and are almost always temporary. With eMoney, a crowdfunding project can exist for just a week or even just one day. However, this is not to suggest that escrow is eMoney’s only purpose. In fact, it’s not even its primary function. There are thousands of Electronic Money Institutions (EMIs) operating in the UK, all leveraging eMoney in different ways. Here are just a few examples of how eMoney is used in financial services today. One of the main uses of eMoney is prepaid cards. Prepaid cards are topped-up from either a bank account or through physical cash. The cards differ from debit and credit cards as they are not linked to a bank account, meaning it is not usually possible to receive salary, set up direct debits or transfer to the bank accounts of others with prepaid cards. But being based on eMoney, these card accounts can be created very quickly and hold benefits in various contexts, such as corporate expenses, gifting, currency exchange and other innovative services. Prepaid cards allow businesses to offer their employees expenses cards, sparing the need for employees to use their own debit/credit card and then be reimbursed through the company. As well as avoiding the risk of spending more than what the budget allocates, the card can be shared between employees, with the accounting department handling the bookkeeping centrally. One of the most common uses of prepaid cards is for gifting. The gift card industry is worth over £6bn annually, with cards being given out as presents and corporate rewards. Giving people gift cards has the advantage of being a ‘forced treat’. A gift of £20 cash can go into the recipient’s bank account and end up going out as bills, but a £20 gift card makes them buy something for themselves. This scheme is also hugely beneficial for the store, as they are not only paid a rounded fee in advance, but the truth is that many gift cards go unused - £300m a year is gained by merchants in unused gift cards. Currency cards are a type of prepaid card that allow people to purchase foreign currencies to use when they travel. The customer buys, for example, €500 at a fixed rate in GBP, which is then loaded onto a currency card. This enables customers to avoid heavy international transaction fees that occur when using a debit card abroad and feel more secure, not having €500 cash in their suitcase. Monzo has demonstrated how a good banking product can be initially built upon a prepaid system. Monzo links users’ transaction data to real-time spending reports, allowing users to keep track of their money and budget their spending based on automatic categorisation of purchases (eg. entertainment, travel, bills). Using a prepaid system allowed Monzo to get up and running as quickly as possible whilst they applied for their full banking licence. These are only a few examples of prepaid card industries, but they demonstrate the variety and extent to which prepaid cards can be used. Originally introduced in the 1970s, prepaid cards are arguably the most proven use of eMoney, and are certainly showing no signs of losing popularity. Another excellent use of eMoney is loyalty. Because eMoney allows accounts to be created so quickly and easily, a business can comfortably set up a loyalty account alongside a customer’s account, paying into it as and when to reflect spending rewards. For example, for every 10th purchase a customer makes, the merchant could transfer £5 worth of ‘loyalty points’ to the customer’s account, which could then be used as credit for the store when the customer makes a subsequent transaction. 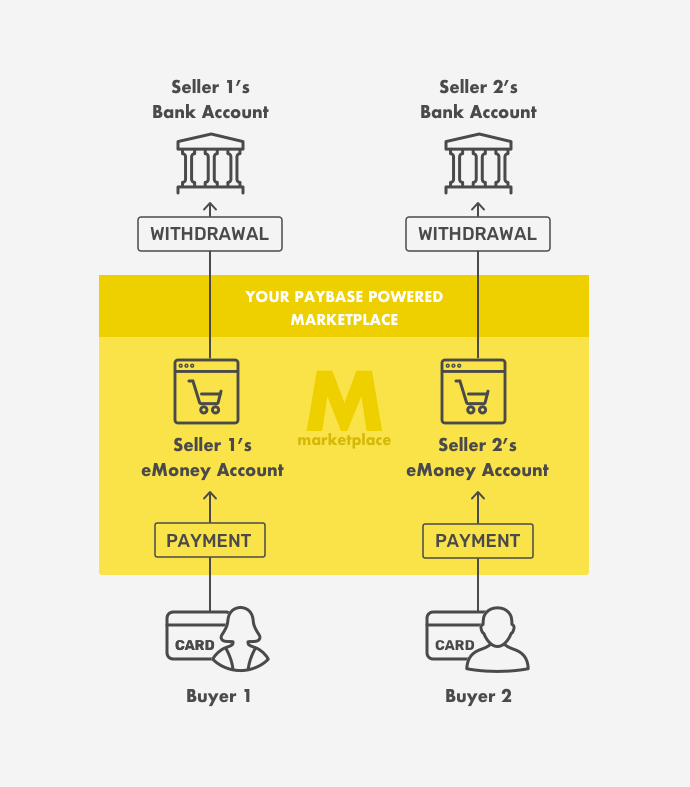 If a merchant partners with Paybase, this whole process can be more sophisticated. With our Logic Engine, transferring loyalty points based on transactions can not only be automated, but configured by the business itself. The merchant can decide how and when points are allocated for each customer or type of customer. As such, payments is not a rigid necessity to be shoehorned into a business model, but a tool which can actually increase business potential. As mentioned earlier, when transactions are made between eMoney accounts, all that is required is an adjustment of the ledger. Because of this, eMoney accounts can easily transfer money between each other at high speed and low cost, without separate parties needing to know each other’s bank details. This allows users to make person-to-person (P2P) payments, instantly, on a variety of apps. Using this same mechanism, apps and services are appearing which allow customers to pool their money onto one card, which can perhaps be used abroad - ideal for group holidays and stag/hen dos. Some apps facilitate group payments and bill splitting for housemates, all taken care of with a few clicks. When it comes to P2P and group payments, eMoney’s capabilities are solving genuine problems with a strong focus on UX. Furthermore, another great use case of eMoney is payment routing. In recent years, commerce has changed. The growth of the sharing economy has seen companies like Uber and AirBnB dominate their markets and thousands more firms appear, all based around the concept of connecting buyers to independent suppliers. In the same way that the sharing economy has connected dog owners to dog walkers and homeowners to holiday-goers, it has also birthed scores of online marketplaces, allowing anyone to sell items from arts and crafts to clothing. What has been slower to change, however, is the payment processing. Many of these sharing economy platforms still take all payments centrally, which then have to be transferred manually to each supplier/merchant’s bank account, after the platform has taken their cut (which may be unique for each supplier/merchant). But an eMoney system allows customers to pay directly into a supplier’s/merchant’s eMoney account, removing the need for manual reconciliation. Using an eMoney solution, Paybase can offer its partners the ability to collect their fees automatically, even if they differ between individual merchants and suppliers. This reduces operational overhead for sharing economy platforms and marketplaces and allows them to concentrate on running their business. Finally, eMoney is used to facilitate in-app payments between parties. There are many apps and services which connect different users or groups, but making payments has always been a pain-point as users must be taken outside of the app. eMoney can change this, and by introducing in-app payments companies can augment the value proposition of their product. One use case to examine would be EdTech. EdTech is an industry that has grown substantially in recent years, with apps dedicated to connecting schools and teachers to parents. What most EdTech products don’t solve, however, is the payment aspect of the school/parent interaction. Parents still need to put cash in an envelope and hand it to their child or use a different portal or system to make a payment for the school trip they’ve been informed about in the EdTech product. What eMoney can provide is a way for parents to pay for their child’s music lesson, after school club and school dinner directly in the EdTech product - it's simply a case of setting up separate eMoney accounts for the various parties. In short, escrow is one great use case for eMoney, especially within the context of crowdfunding. However, we should not let that fact alter the perception of eMoney. Its impact on prepaid cards, loyalty systems, P2P payments, in-app payments and sharing economy platforms and marketplaces is simply too great to ignore. 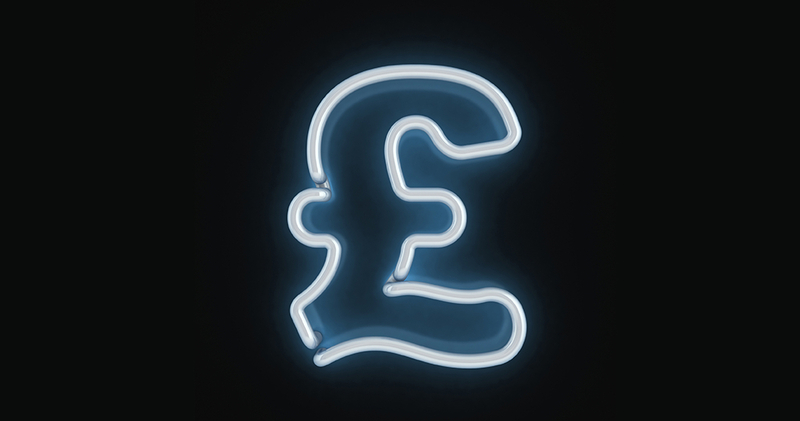 If you think your business could benefit from an eMoney solution, please get in touch with us!